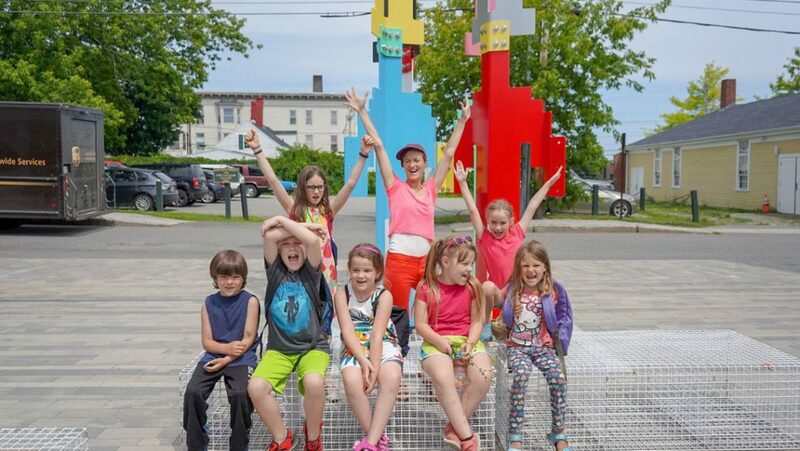 Rockland, ME, January 18, 2019 — The Center for Maine Contemporary Art (CMCA) announces additional funding for ArtLab, its community-based arts education program for the 2019-20 season. CMCA received recent funding for the program from the Milton & Sally Avery Arts Foundation, Margaret E. Burnham Trust, Bob Crewe Foundation, Cricket Foundation, Stephen & Tabitha King Foundation, Morton-Kelly Charitable Trust, Nellie Lehman Taft Foundation, and individual donors. “This is an honor for CMCA and proof the ArtLab program is serving a need,” says Sam Vail, Director of Development & Marketing. Speaking to the reason for the increased awards, Vail noted the success of Alexis Iammarino, CMCA’s lead educator, in building collaborative relationships with other community groups including RSU13 Adult and Community Education and the Rockland Harbor YMCA. CMCA’s ArtLab was created in 2011 through an initial grant from the Milton & Sally Avery Arts Foundation. Since that time, the program’s free-of-charge offerings have grown through steady support. Programs receiving funding in 2019 include ArtLab for All Ages, an ongoing series of monthly hands-on workshops for children and adults; Vacation ArtCamp, offered on a drop-in basis during February and April school vacation weeks; Look Inside, group tours for schools statewide; Arts@Work, a partner program with RSU13 Adult and Community Education’s Rockland After School Alliance; and ArtExplorers, a program for elementary school-age students offered in collaboration with Rockland Harbor YMCA’s Flanagan Community Center. For more information about CMCA’s education programs, please visit cmcanow.org. CMCA is a contemporary arts institution presenting year-round exhibitions, engaging events, and educational programs for all ages. Location: 21 Winter Street, Rockland, Maine. Hours: November through May, Wednesday – Saturday, 10am to 5pm; Sunday, 12 to 5pm; June through October, Monday – Saturday, 10am to 5pm, Sunday, 12 to 5pm.Closed Federal holidays. Admission $8; Seniors (65+) and students with ID $6; children under 18 free; CMCA members free. Image: ArtLab lead educator Alexis Iammarino with ArtExplorers group at CMCA in summer 2018.